FARGO, N.D. – The Home Builders Association of Fargo-Moorhead has named Allison Weckman to its membership coordinator position. Weckman works with the HBA of F-M’s New Member Development and Retention Committees to recruit and retain members and implement the Association’s membership programs. She also works to build the volunteer base for the HBA’s committees and programs, and communicates services and benefits to current and potential members. Weckman is a North Dakota State University graduate, earning a bachelor’s degree in mass communication. 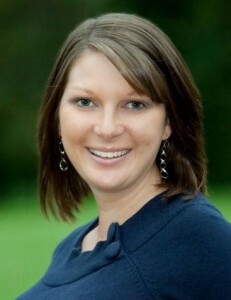 Originally from Fargo, she previously worked for the Rochester Area Chamber of Commerce as its events coordinator, and was membership director for the Rochester Golf & Country Club. The HBA of F-M is a non-profit trade association of almost 800 members that has been in existence since 1956. Its mission is to provide quality services, benefits and education to members and the community while representing the collective interests of the home building industry. Its public events include the Spring Parade of Homes, Fall Parade of Homes, Red River Valley Home & Garden Show, Fall Home Show and Remodeled Home Tour. For more information, visit www.hbafm.com.